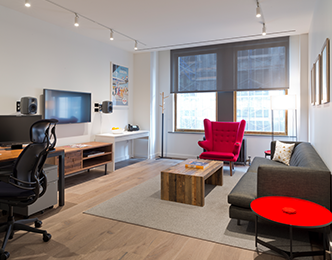 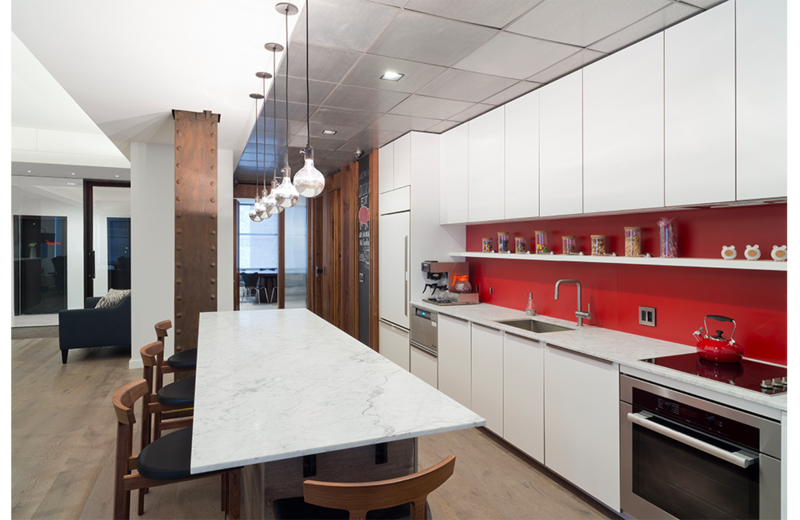 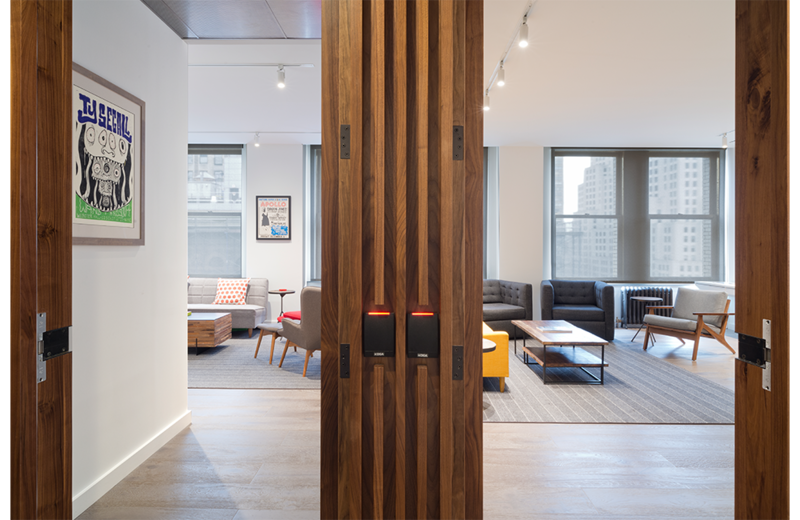 An editing studio in NYC's Flatiron district, MSA provided a design with a comfortable, casual approach attractive to both the firm's corporate clients and creative team. 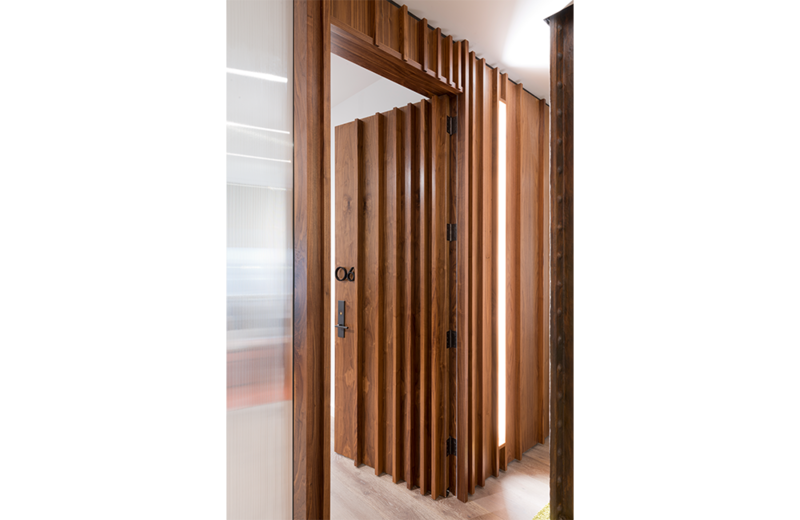 The architectural treatment of the ceiling announces the entry at the reception area and is reminiscent of the arched ceiling cove from the building's former use as a hotel. 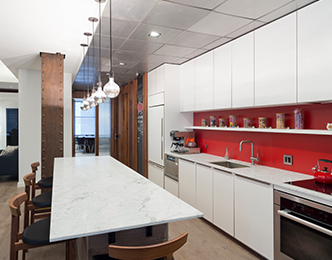 The building's signature iron columns are preserved and refinished to maintain the landmark essence with a modern translation. 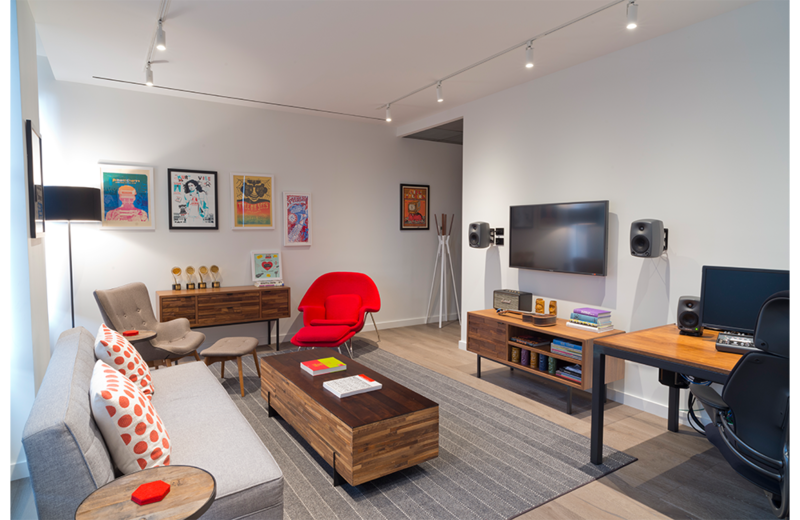 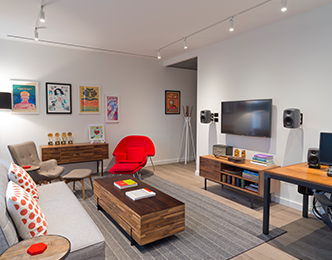 The key challenge was producing a spatial solution that addressed the high level of audio/visual sophistication required along with the studio’s creative identity. 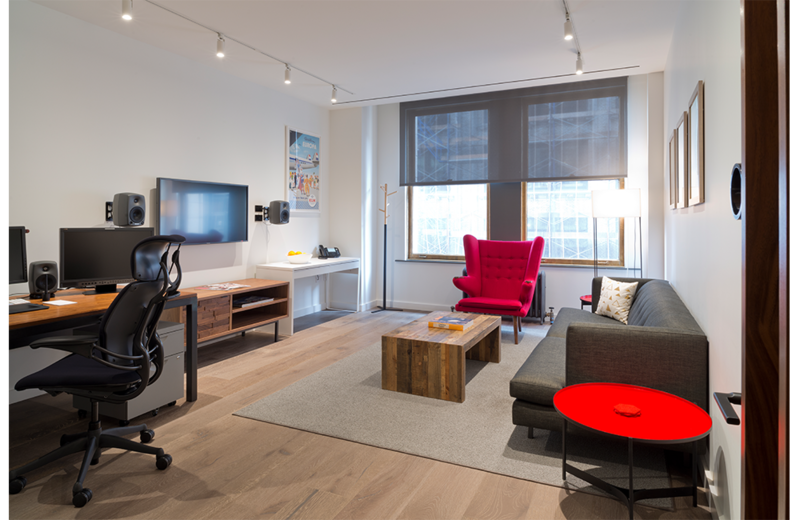 An editing studio in NYC's Flatiron district, MSA provided a design with a comfortable, casual approach attractive to both the firm's corporate clients and creative team. 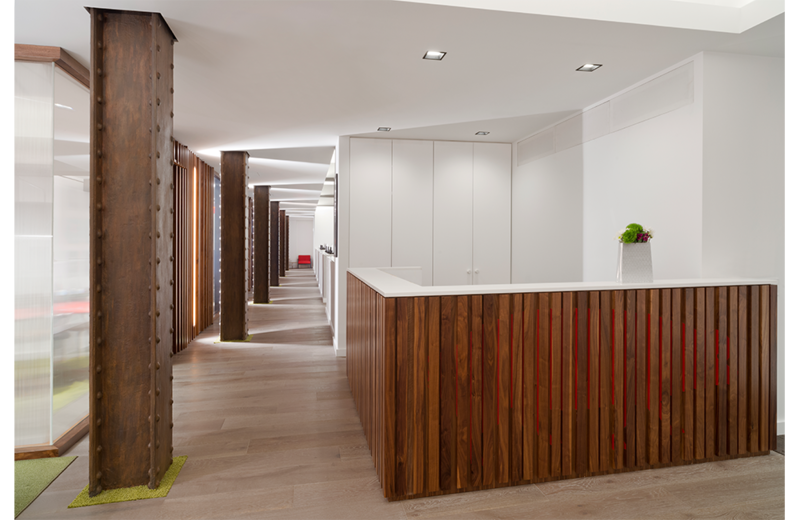 The architectural treatment of the ceiling announces the entry at the reception area and is reminiscent of the arched ceiling cove from the building's former use as a hotel. 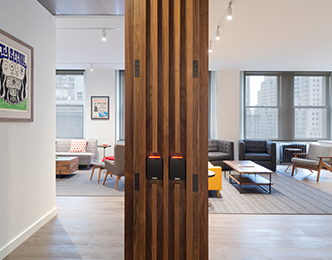 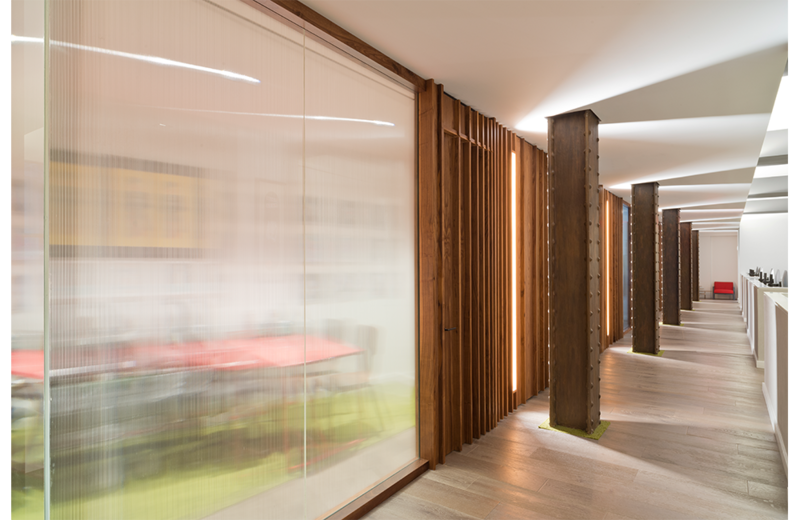 The building's signature iron columns are preserved and refinished to maintain the landmark essence with a modern translation.The key challenge was producing a spatial solution that addressed the high level of audio/visual sophistication required along with the studio’s creative identity. 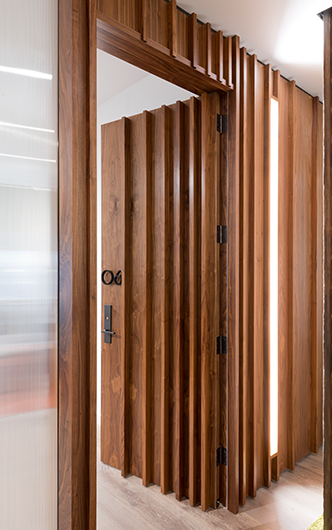 The innovative idea of translating Arcade's logo into a moving image was introduced as part of the spatial design and fulfilled the client's desire to be discreet and creative. 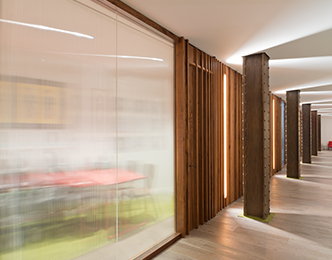 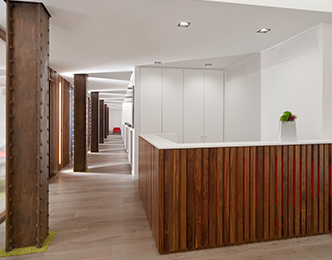 This concept is introduced throughout with a dynamic wood fin pattern viewable as one travels across the corridor. 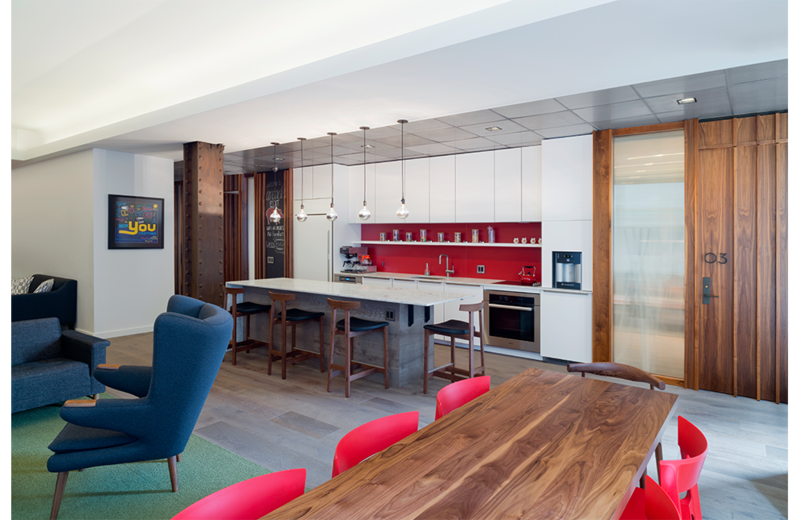 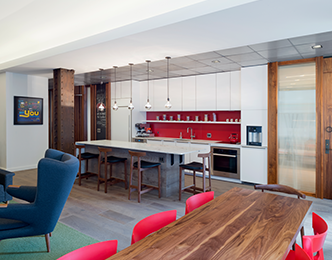 A palette of walnut wood, rusticated metals, and splashes of green and red punctuate the casual, residential feel while maintaining a polished, professional atmosphere.